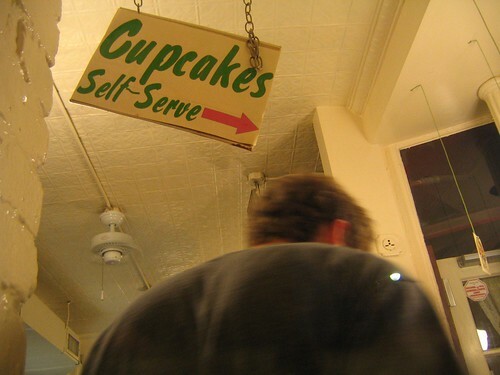 … an adrenaline-producing cupcake experience at magnolia bakery in greenwich village. 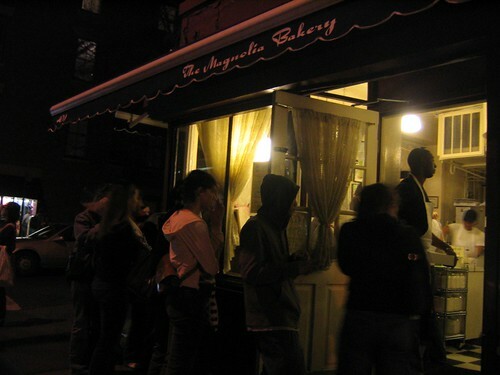 the queue into the bakery was about 25 people deep, and as we approached, one driving passer-by yelled exasperatingly out of her car, all that for a cupcake! when i finally was permitted inside by the quasi-bakey-bouncer, with my eyes closed and about seven people well within nose-distance, i plucked four buttercreamed beauties: vanilla cake + periwinkle frosting, chocolate cake + chocolate frosting, vanilla cake + buttercup frosting, and chocolate cake + lavender frosting. 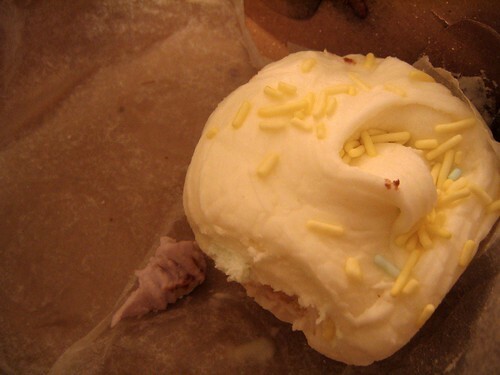 i paid at the cashier with a bill in one hand, and a mess of sprinkled buttercream in the other. onto the cakes. 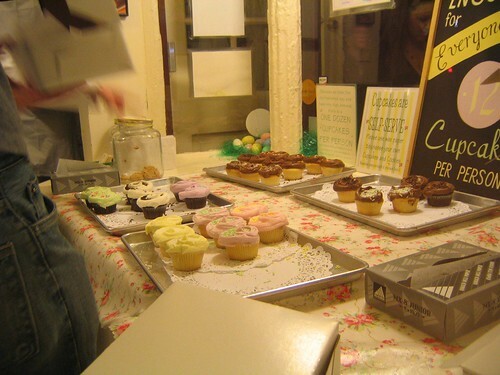 supersweet overdollop, yes, but i am completely smitten with the moist cup of cakecake. that remaining one pictured above is a testament to my (and niknak’s + my roommates’!) self-control. more stories from nyc, but i thought i would start on a sweet note.